The mid-sized sedan market is one of the hottest and most competitive car segments out there. With choices ranging from inexpensive commuters to $100,000 luxury brands, there are enough models and trim levels within those models to make your head spin, but when the rubber hits the road there are a few things the average car buyer is looking for. The KIA Optima has been around since 2001 and, from humble beginnings, this car has emerged as one of the leading competitors in the current mid-sized sedan market. With KIA’s bold styling and generous standard equipment, the Optima is a formidable challenger. The Honda Accord has been a staple in this segment since the 1970’s with its reliability and brand name becoming almost synonymous with the mid-sized sedan segment. 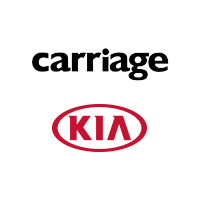 KIA is a brand that everyone knows for its value. When you say KIA, you expect to get the latest tech and outstanding ride quality for a fair price. The Optima is no exception. Your initial investment will consistently be lower with the Optima when comparing similar trims to the Accord. Where KIA really shines is in the warranty. With a 60-month base warranty and a 120-month/100000 mile Powertrain warranty, you know you’ve got the confidence to keep going farther with a brand that’s backing you nearly twice as long as the Accord. Just take one look at the Optima and you can’t deny that it’s an attractive car. While Accord has continued to give us more of the same old styling that, arguably, has made Accord what it is, the Optima projects a sporty yet refined executive class sedan feel. The proportions of the Optima give it an aggressive and planted stance that begs to be driven, and while the exterior size numbers on paper are very similar to the Accord, the Optima actually wins out in interior cabin space so you’ll also feel a little more comfortable as you pass up a few more gas stations than the Accord. With the distinct tiger-nose grill up front, smooth elegant body lines flowing to the rear, and a chassis packed full of industry-leading technology, safety, and performance, the Optima is a clear winner in this segment. Stop by and see us at Carriage KIA of Woodstock to experience the 2018 KIA Optima for yourself.